This digital purchase is for an archive link to your company’s SCIC 2018 presentation, which will last for 90 days after the conference. While all SCIC 2018 presenters will receive a direct link to live-streamed coverage of their presentation (audio + their slides) at no additional charge, there will be no post-event archive available via the SCIC website. Without this additional purchase your company will not have post-event access to the archived material! NOTE: Without an above option, visitors will only be able to follow your company’s presentation as a live simulcast. 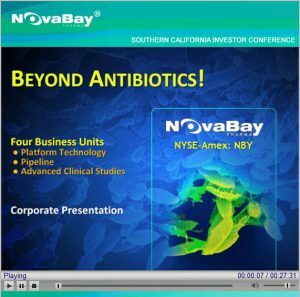 The live conference will be webcast through http://socalinvestorconference.com/. A schedule will be provided for each of the presentation rooms. If you require an archive of your presentation, you must purchase the above option. There will be a surcharge for services after the commitment deadline has past. All webcasts are audio and presentation slides only – no live video of presenters will be provided. All services are prepaid via credit card or company purchase order.